Santa Maria police officers arrested a juvenile Sunday for making a criminal threat against Pioneer Valley High School. 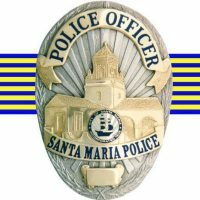 Earlier in the day, officers learned of a threat posted on social media that was directed at the Santa Maria school. Investigators determined the threat was made about two weeks ago, a police department press release states. Police identified the suspect as male juvenile who lives in Santa Maria. Officers contacted the juvenile, who admitted to posting the threat on social media. Officers arrested the suspect, charged him with making criminal threats and booked him into the Santa Barbara County Juvenile Hall. Authorities are withholding the suspect’s identity because of his age. Santa Maria police say there is no current threat to student safety. ← Previous Previous post: Did staff defy board direction at first cannabis hearing?